ROLL*N*FLIP is an exciting board game similar to an existing 300 year old game product. 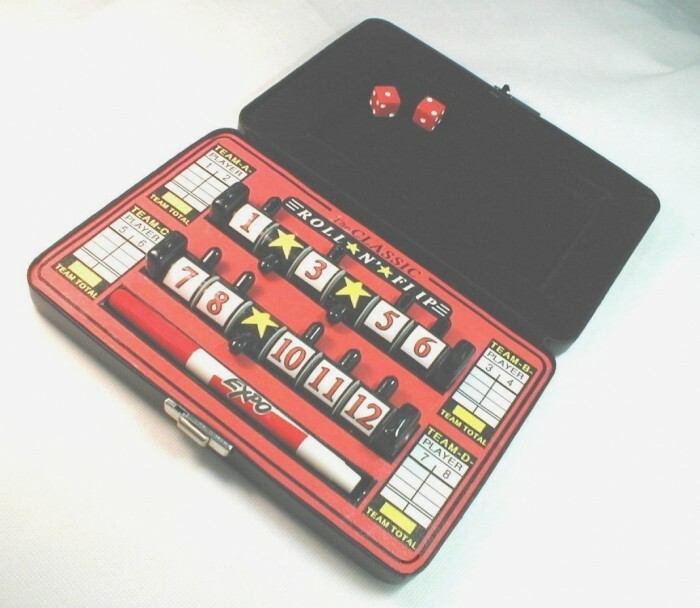 Except this convenient, perfectly-sized, "numbers strategy" game provides for easy carrying and playing fun ... ANYTIME ... ANYWHERE! 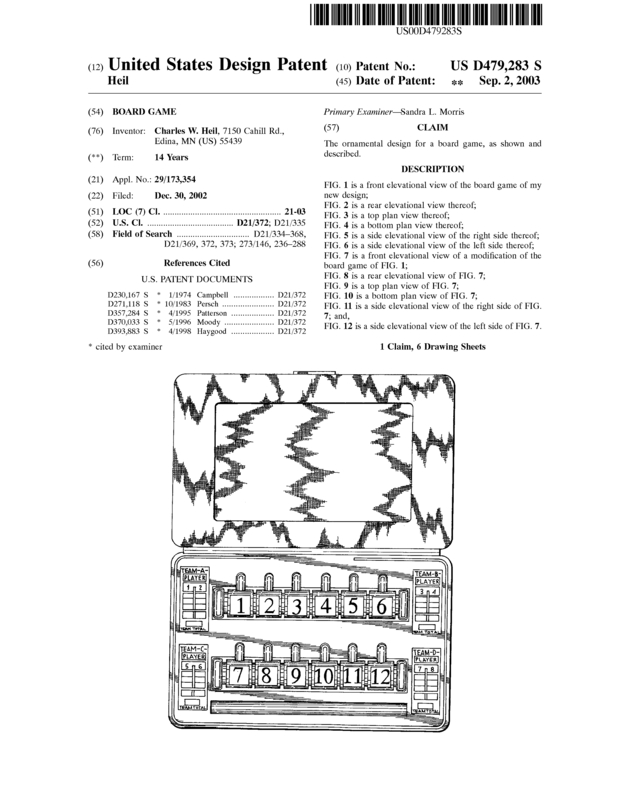 FOR SALE: Manufacturing Design Patent Licensing Rights! Limited number (200) game units were produced with very minimal advertising & marketing budget. Word of mouth sales (165) results were quite impressive, interesting & beneficial! Searching for financier to implement efficient tooling methods to reduce production & assembly costs required for mass marketing campaign for world-wide game units distribution. Proper mass production of the ROLL*N*FLIP Travel Game 4 Kids! offers very HIGH revenue potential once manufacturing cost-cutting methods are introduced to support a targeted $18-$28 Retail Sales Price. Looking for an "Outright Sale of Manufacturing Licensing Rights" with royalties ... or ... “Total Buyout Ownership”! Page created at 2019-04-25 10:44:15, Patent Auction Time.